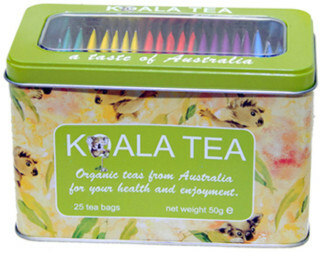 Selected from the gourmet teas which includes Eucalyptus Tea, Vanilla Tea, Blueberry Tea, English Breakfast Tea, Earl Grey Tea. 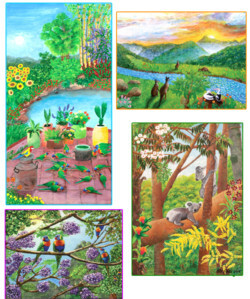 All are certified Organic. 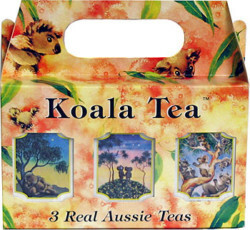 This range of Gourmet Koala Tea in a lovely tin holds 25 teabags. We have selected our five most popular gourmet black and green teas, of which there are 5 teabags each. 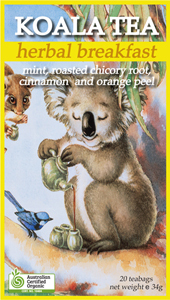 A great gift for your tea loving family and friends, or a way to get to know our gourmet Koala Teas. 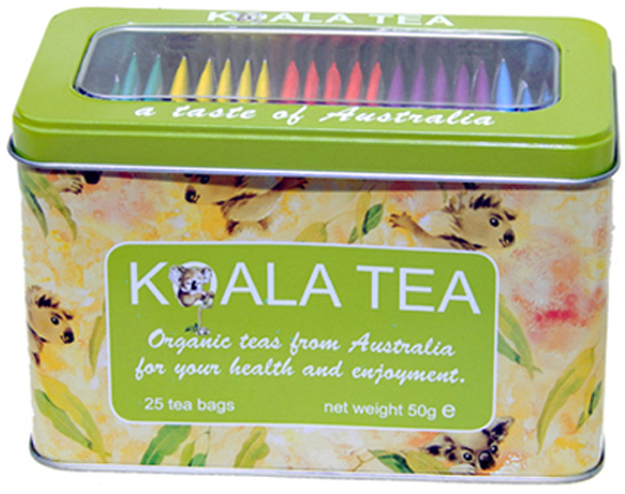 The gourmet range includes Eucalyptus Tea, Vanilla Tea, Blueberry Tea, Earl Grey Tea and English Breakfast Tea. All are certified Organic.